Item # 301360 Stash Points: 3,499 (?) This is the number of points you get in The Zumiez Stash for purchasing this item. Stash points are redeemable for exclusive rewards only available to Zumiez Stash members. To redeem your points check out the rewards catalog on thestash.zumiez.com. 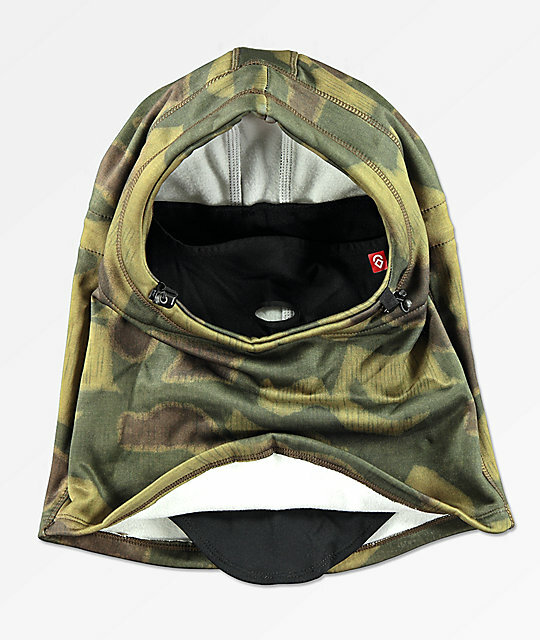 Who needs a jacket with a removable hood if you have the power of the Airhole Rain Airhood Camo Balaclava. This water resistant facemask features a hood with built in mask and a DWR coated construction to ensure you stay warm and dry no matter the circumstances. An allover camo colorway gives this piece original flair while the bright red logo printed to the lower left adds subtle contrasting branding. 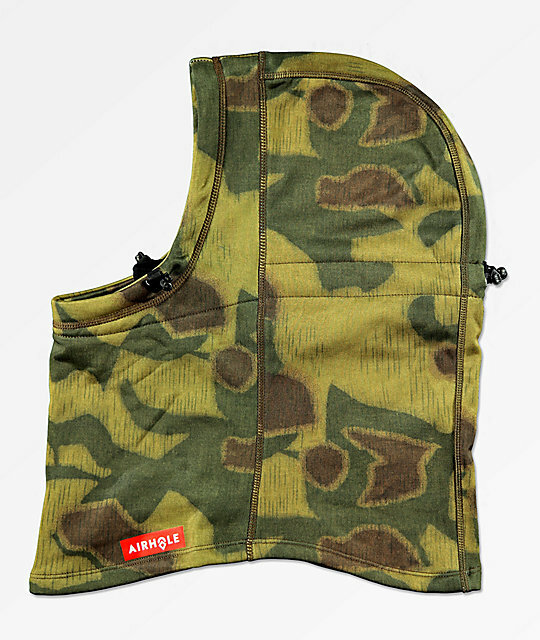 Rain Airhood Camo Balaclava from Airhole.